Fox talked about the DNA of a STEM school, wearing a DNA inspired dress to do it. She talked about STEM as a trans-disciplinary approach, and talked about her journey over the last few year as a social science teacher, arguing that STEM had to change year after year. They set ‘grand challenges’ that run over nine week intervals, solving a problem like creating a ‘planetary rover’, renewing urban infrastructure. They used iTunes U courses and student worked through the course. Students also worked in teams, fostered community involvement and had on-site visits and field trips. We all know what STEM stands for…Science, Technology, Engineering, and Mathematics…but what does it look like in action? How can you design transdisciplinary, problem based curricula that is unique to your school and community? Amanda share the narrative of what it’s like to be teacher in a STEM public school; how we began; what is the curriculum, and how in just three years they have evolved to be considered THE top middle grades certified STEM program in the nation. Decode the genome of their transdisciplinary approach, and learn what you can transplant to your own program. Collaborative curriculum innovation: balancing rigour and engagement. This session, from two Western Australian presenters, began with the need for change, but began with a NAPLAN reference as the need for that change, a marked difference from the emphasis of the presentation this morning. Maybe I’m a bit weary, but I had some reservations. I liked the idea of responding to students, but how meaningful? Don’t students have a lot of different interests? I wouldn’t want to have to do a unit on The Bachelorette! And, how does AC match? Wouldn’t there be vast gaps and overlaps? They did address this later. I liked that they emphasised the ‘soft skills’ of the AC, ‘the hard currency of their future’, showing an approach that is term by term, with students being explicitly taught these skills, which they apply later. They argued that the themes had to be context free, history is often contextual, and these outcomes are separated out. In this session Yong Zhau talked about failure and disengagement, about diversity and connections. He talked of multiple intelligences, differing motivations and passions, using ‘Rudolph the red nosed reindeer’ as a metaphor. He talked about nature via nurture, that the conditions mattered, and also the idea of mastery (10,000 hours and all that) He gently mocked the growth mindset, noting that believing he could become a great footballer wouldn’t make it happen. But not all diversity is valued, schools make a great guess about what is useful and will be valued, and focus on ’employable skills’. We privilege certain intelligences, talents and motivations. We homogenise kids. He argued that education is broke, needs replacing not fixing. PISA got a drubbing again, a measure of sausage makers, ‘the stupidity of trying to fix the past’, we are seduced by the old paradigm, of education the average. But, in the age ‘of abundance’ we should accommodate all talents and globalisation is way beyond the village and education has side effects too, that we should be aware of: ‘this program will improve your NAPLAN scores but kill off your love of reading forever’. If there’s one thing bigger than big data in the educational trendo-sphere lately, it’s coding. This is the next big thing and when the Opposition Leader stands up in Parliament and tells us that everyone should be doing it, you know it’s mainstreamed. Bill Shorten said that all Australian children should have the opportunity to learn “the literacy of the 21st century” so that they can “design, create and operate the apps and computers” that will drive Australia’s future economy. Others are arguing that coding is as crucial as English and Maths. Read that last sentence again, then code in that smiley face with the straight-line mouth at this point. 😐 Really? Does that argument even make sense? And if you say it does, what time should be given over in the crowded curriculum, and what should go? Geography? I used to keep a list of the all the stuff people in the papers and politicians said that should be taught in schools. It included things like (and I kid you not): chess, road safety, personal safety, origami, basic mechanics, first aid, meditation …) Many of these things are very worthy of our attention and time, but you get the point. Where do you stop, and what do you take out? This is where the jobs are. You know that Careers teacher who’s been telling us for year that the jobs of the future haven’t been invented yet? Well, now they have, and it’s called app development. Compulsory coding will get girls into an area that is dominated by males. It teaches you logic, cause and effect, that kind of thing. So, do these stand up? Well, yes. computer are pretty important in our world. I’m writing this on one now and I’d hate to be pulling the fountain pen out to draft it. I happily admit that I’ve no idea just how Siri understands me 70% of the time. I’m a long time advocate for computers in schools, for students. But not for their own purpose, but for what they bring to teaching, learning, collaborating and creating: what you can do with them. So, while it might be handy to know that computers are programmable devices I’m not sure how much class time you’d devote to that simple idea. Cars are pretty important too, but nobody’s arguing that we should all learn basic mechanics in school to know how they work … (oh yeah, there was that one guy who argued that!) So, ‘digital literacy’ doesn’t mean putting on overalls and replacing the gearbox, but maybe it means being a skilled driver who can get the most out of the technology? The jobs argument seems a bit like an even weaker argument than the 1980s push that we all learn Japanese, because that’s what the jobs will be. That didn’t turn out so well. And, I don’t really think that coding is the dream-job of the future. For every Mark Zuckerberg who can code and had some good ideas, there are a thousand coding hamsters, most of them outsourced to India, doing the grunt work and making the wheel spin. There sure are jobs in technology, but if I was looking for future skills I’d want to be the creative / collaborative / inventive /entrepreneurial / inventor type rather than the poor pizza-fed employee who has to make it work. It’s good to learn languages. And coding is a language. Or many of them. But, you know, even in these crazy modern days, if I was thinking about learning a new language it probably wouldn’t be Python. I might try Spanish. You know, a language that’s lasted more than a decade and is well out of beta. 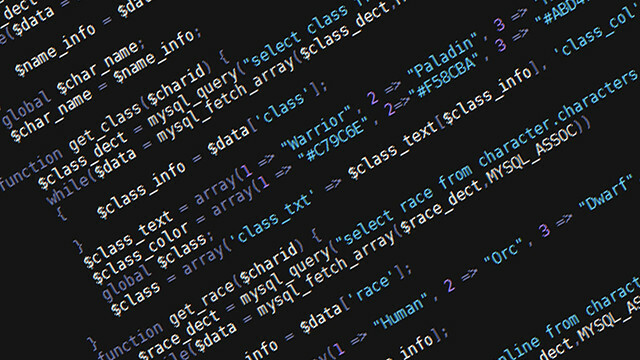 Is coding ‘the most important language in the world’? Well, no. You might try Chinese, or English. That more women in coding would be a good thing is undeniable. Anyone who has encountered the pervasive, casual misogyny of the gaming world would say it needs to be more inclusive. But why should women like evangelising hamsters into the coding caves to right the wrongs of the world? That it teaches logic, cause and effect, sequencing, is to me the strongest of the arguments. One of my primary colleagues, Steve Costa, puts it beautifully when he says: “It is essential to have students learn to be creators and makers of programs as well as take risks, learn through their efforts (both successful and otherwise- and to experience that learning from their “mistakes” often helps for better understanding of the procedures being attempted… He points to articles like ‘Why we should be teaching kids to code’. Hard to argue with that, except to say that there are other well tried ways of working to develop concepts of sequencing and logic and persistence as well, and those important attributes are timeless and beyond mere content. In looking at articles about coding in schools in thinking about this piece the name Estonia came up a fair bit. Apparently Estonia has moved to implement coding in schools in a big way. So, Estonia is to coding what Finland is to PISA tests. Something like that. I’ve got an even better idea: develop literacy and numeracy and the 21stC skills that are likely to really useful in helping young people fully engage in their future world of learning and work. I’ve blogged about them before. And stop knee-jerking politicians telling just what schools ought and ought not to be doing. Disclaimer: I love technology but am not a coder. The most advanced stuff I’ve ever done is scripting in Filemaker Pro. I enjoyed it. The high point was a Markbook program I developed that was tailored to VCE English, which I began for my own use, gave to some other teachers even considered selling to a textbook publisher. This was long before ‘apps’. If there was one recurring thread (I typed ‘threat’ subliminally just then and it didn’t auto-correct!) at the first day of the K-12 National Curriculum Conference today, it might have been the idea of data, analytics and ‘using evidence’ to inform teaching and learning. ‘There are two things we all agree with’, said Professor Brian Caldwell, it’s the idea of an Australian curriculum, and the idea of national testing, of some kind. Systems: universal, national, local, like the idea of data. ‘We’re not just wasting our money here. Look. You’re not doing it right…’ Data to drive improvement, data to drive reform, data to drive teachers out of the profession. ‘PISA has become an article of faith for policy makers …’ someone said. There was lots of talk of data analysis, of acronyms like PISA, NAPLAN, ACER, VCAA, ISQ, GKR, PAT, EBO, PATT … and on it went. 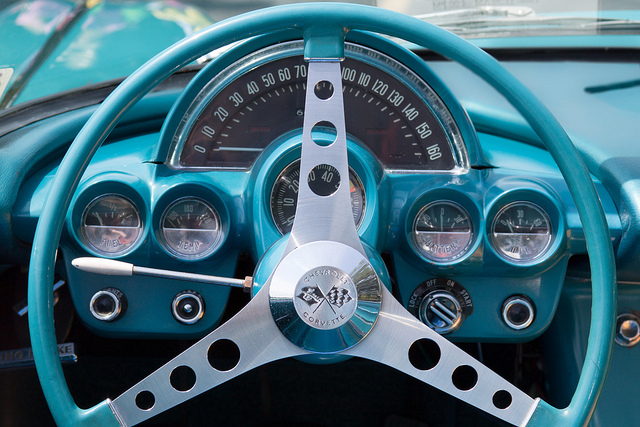 Everyone wants a dashboard, and they want it now. Not as much talk about how we might deal with all that data once we have it, or how that might drive … well, even more data. There were some refreshing asides, talk about creativity, problem-solving, the value of learning for its own sake and not as an atom in a productivity machine, but data. Everywhere data. Where are we with Australian Curriculum? These are some notes from the keynote by Dr Phil Lambert from ACARA at the OUP Conference today. Dr Lambert gave an update to the Australian Curriculum, including a reiteration that AC funding was continuing despite recent Federal Budget announcements. He talked about the big achievements so far particularly around the comparison of achievement standards. ACARA has developed curriculum in eight learning areas, ‘incorporating both the traditional subjects that have stood the test of time while incorporating new content, skills, dispositions’, which he called 21C skills. Languages was nearly completed and would be on the website soon, as well as new languages being developed. He claimed that AC was world class, and countries like Brazil, Korea and Saudi Arabia were looking to the AC for inspiration, particularly in the skills and dispositions area. Interestingly, he argued that personalised learning and smaller class sizes were also on the agenda for China as they looked to move from content-only curriculum. He was more coy about the cross-curriculum priorities, and their future, describing them as ‘choices’ that teachers could make depending on context. One of the achievements he was proud of was the resource development in Scootle, with links to the AC content tags, being available to all Australian students. Some world trends: GELP. and a focus on new metrics. He linked this to Gates Foundation funding. Are we measuring the things we really value? Even when they’re hard to measure. He talked a little about the myths and misconceptions about AC that often appeared in the media. He did seem concerned about this in a guarded way but it’s obviously something they are concerned about. He said that ‘some areas of the media’ don’t want to tell the ACARA version of the story. One of their learnings here was not to rely on traditional media, but use social media much more to get their message across. What next? Secondary curriculum still under discussion. ‘We are in dialogue’ and looking for suggestions from teachers. Implementation will vary, and implementation might be influence, rather than direct use of the curriculum. Illustrations of personalised learning to come, F-10 Arts; Humanities and Social Sciences (Economics and Business, Civics and Citizenship) Health and PE, Technologies. Lots of this on the web with varying status in terms of implementation. Chinese, French, Italian, Indonesian done and 7 more languages to come, as well as work on indigenous languages. Work samples coming online and continuing to be developed. A completely new website was also coming soon. NAPLAN is now aligned to AC, they’re looking at online NAPLAN, and extending NAP sample. I was surprised that, the day after NAPLAN testing had finished, he didn’t feel the need to apologise for what it has become. In this workshop the focus will be on blended learning and approaches that extend and enhance the classroom experience. The latest research tells us what we have always felt: that good teaching is critical to student learning and that feedback to students is also critical. New technologies provide teachers with powerful tools to organise, collaborate and give feedback and to re-envision the classroom for the twenty-first-century learner. In this workshop participants will get a snapshot of the latest learning theory and get to play with some digital tools in a range of platforms that that can have immediate application in any classroom. The future is not digital, but it is blended. The Education Changes Lives Conference is focused on Australian Curriculum but my session is more about technology and blending traditional approaches with new ideas. Last year I presented in the English teachers stream; this year it’s for general teaching audience.